The Villar Perosa is one of the first small machine guns developed and used by a military force. It was designed in Italy and introduced in 1915 as an aircraft weapon, to be used in a flexible mount by an airplane’s observer. The gun consists of two independent firing actions mounted together. Each fires from an open bolt as a rate of 1200-1500 rounds/minute, feeding from a 25 round magazine of 9mm Glisenti cartridges. This allowed the maximum possible volume of fire in an aerial combat situation, where in 1915 ballistic power was not particularly important. 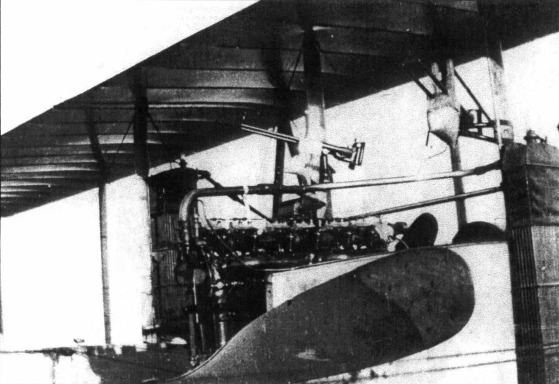 As aircraft armaments improved and synchronized, belt-fed machine guns became practical, the Villar Perosa was quickly made obsolete in aerial use. The Italian military experimented with several applications of the weapon in ground combat, including slings and belt fittings for marching fire, tripods, mounts with integral armor shields, and bicycle mounts. None of these proved particularly successful, as the elements that made the gun well adapted to early aerial use (high rate of fire with a small cartridge) made it relatively ineffective for infantry use. Ultimately, the best use of the Villar Perosa was to break them up and convert the actions into shoulder-fired submachine guns. Designs to do this were developed by both the Beretta company and Villar Perosa themselves, and in 1918 these guns entered service at the same approximate period as the first German MP-18 submachine guns. 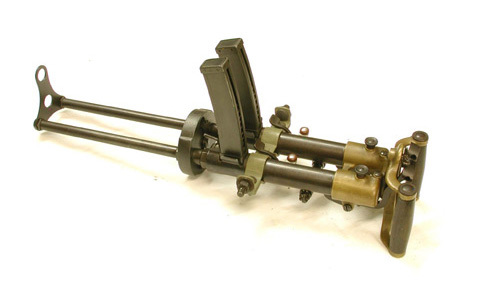 Because of this recycling, intact M1915 Villar Perosa guns are quite rare today. While a pistol-caliber sub-machine-gun should have been reasonably effective against the wood and canvas airplanes that were typical at the start of WWI, I wonder how this gun would have fared against the 1917 Junkers JI — the first all-steel fully-armored airplane — as well as subsequent armored fighter aircraft . Probably not very well. Armored fighters didn’t really exist in WW1. The Junkers J.I had an armored “bathtub” very much like the later Il-2 and A-10, but ironically it was mostly used as an observation plane rather than as a ground attacker. Armor was still highly useful in the observation role as well. Fighter it was definitely not, and it wasn’t fully steel either, since wing surfaces were made of duralumin. Other ground attackers with armor did exist, although they used the traditional wood and fabric construction with armor as an add-on. The first all-metal aircraft was in fact the earlier Junkers J 1, which was made out of steel tubing and sheet metal, because duralumin was not yet good enough for aircraft construction. The aerodynamically clean J 1 was fast but too heavy for its 120 hp engine, which made it a very poor climber, so it was not build in series and development was abandoned. The sheet metal made it more sturdy than other fighters of the era, but technically it was not armored. Really there have been nothing “experimental” or particularly “unsuccesful” in the field use of the Villar Perosa. The MG had been approved for infantry use in nov. 1915, a first batch of 1600 weapons was ordered, and from then the number of weapons issued for batallion constantly increased throughout the war. At the end of the conflict a total of 14.564 MGs had been produced (so, more than 29000 barrels, VS only about 5000 MP18), and 836 millions of 9mm Glisenti rounds for them.﻿ The weapon had been even copied by the Austrians, double barrel, tripod and all. Maybe it’s not a “real SMG”, but it had been a succesful weapon. Ian: I think this is your best video yet, having such a complete set up for the VP. I never thought I would see one of these up close and with such in depth coverage, especially with the box. I note that the the charging levers seem to be set up to be charged simultaneously with one hand? Can someone point me at a picture or a drawing of what the aircraft mount for this thing looked like? Was it meant to be fired through a round gun port of some sort? It seems strange for an air-to-air gun to have sights like these. Infact it had never be intended to be an aerial MG. This had always been a MUCH secondary use. When the weapon was mounted on aircrafts, they added a conventional aerial high-mounted crosshair round sight to it. Okay, that explains it perfectly. Strange indeed, but this gun was designed at the dawn of aerial combat. It’s possible that the designers simply did not see the need for sights more suitable for engaging targets moving in all planes of space, such as ring sights, although they did exist on the drawing board and very quickly adopted once machine guns became the standard aircraft armament. Again. This MG had never been designed having aerial combat in mind, but, when used on aircrafts, DIFFERENT SIGHTS WERE USED. Here you can see a Villar Perosa on a Caproni Ca.3. unfortunately only the reflection of the front sight can be noted over the muzzle of the barrels. 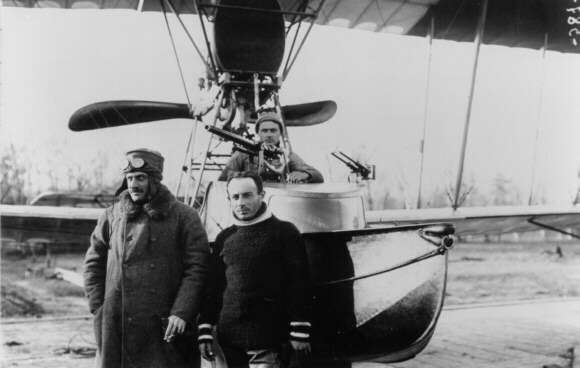 This (in rear position) is a Villar Perosa on a Macchi flying boat. Unfortunately here only the shadow of the front sight can be seen, but it’s evident that the weapon doesn’t have the round plate of the infantry ones. Infact it was made like this. That’s like the experimental Villar Perosa in .455 Webley already seen on this site. Is not that the Officine Villar Perosa made different sights for the British. Certainly much better than the quite bad English Wikipedia article, which doesn’t even get the specs remotely right. This picture is interesting too, since it shows, other than the wire rear sight, the extended magazines used, at least sometimes for aerial installations (someone even doubted of their existence). Which shows a VP mounted to a shoulder fired mount in addition to a lot of information. Could the rate of fire have come down to something like 900 shots p/min. with heavier recoil springs? If so, than add 35 round magazines and it would have been a workable lmg. I think it is possible, because it is a delayed blowback gun. As far as I know, both the Villar Perosa M1918 and the Beretta M1918 based on the Villar Perosa M1915 and have 900 round per minute rate of fire. Unfortunately I don’t know exactly how they achieved it. Generally speaking, the way to reduce the RoF of a straight- or delayed-blowback system is to increase the weight of the bolt. Inertia then does the work. However, you have to remember that at the time, the emphasis in aircraft MG design was increasing the RoF. Even at the slow speeds of WW1 aircraft, gunners were still shooting at targets that were moving much faster than anything else since the invention of the bow and arrow. The principles of scientific aerial gunnery (lead computing sight, etc.) were still in the future, so the SOP was “fill the air around the target with bullets and hope he runs into one”. As such, the VP’s 900 R/M RoF was considered “adequate” for an aircraft flexible gun system. The 500 to 600 R/M of a typical ground gun was considered too slow. By comparison, the experimental German Gast MG in 7.9 x 57 of 1918 used an interlinked bolt system with its twin guns to reach 1,600 R/M per barrel , or 3,200 R/M for the system. Interestingly enough, the interlinked bolt setup was based on the American Bethel Burton patent of 1886, which was intended for a mechanical (i.e, externally-powered) MG.
BTW, if you look on p. 32 of The Complete Machine Gun; 1885 to the Present by Ian V. Hogg (Phoebus, 1979), you’ll find one of John Batchelor’s reconstructions of an early engineering diagram of the Villar Perosa. It clearly show that it was originally intended to use rifle caliber? ammunition, probably the 6.5mm Carcano round, with a vertical-feed magazine similar to the S.I.A. machine gun, itself a retarded blowback. The S.I.A. was mainly used as a training weapon for machine gun troops, much as the Japanese Army used blowback MGs chambered for reduced-charge 6.5 Arisaka rounds for training. But seeing its vertical-feed magazine with cut-out sides (a bad idea on a ground gun but a logical weight reduction measure on an aircraft gun), I suspect that like the VP, the S.I.A. was originally intended as an aircraft observer gun, a role in which its 900+ R/M RoF would have been not a handicap, but an advantage. It’s not correct to say that the ring sights used for aerial gunnery during WW1 and onto the early part of WW2 were not scientific. The mathematical theory behind a ring sight is quite sound, although it makes unavoidable assumptions, which may not always be true. Even the more sophisticated reflector and gyroscopic sights used in WW2 werr still based on the same principles. Assumption was that the target moves at constant speed (velocity) and straight in all dimensions in relation to the sight. Even early lead computing sights still relied on the same assumption, although in aerial gunnery they were usually coupled with ranging radar from the beginning to calculate the correct target speed instead of the estimation used with ring sight (and derivatives). On AA sights manually inputting target speed estimations was still commonly used in the 1950s in light AA guns. Aircraft gun development favored high rate of fire all the way to the late 1970, because computers simply were not fast enough to take all necessary variables into account. The resulting uncertainty was compensated with high rate of fire. Even today the Russian GSh-30-1 is about the only aircraft gun that gives up rate of fire in order to be as light and compact as possible, although for a “simple” linear action 30mm cannon the RoF is still quite fast. The M1918 S.I.A. was the standard Italian light machine gun from 1918 until 1930, so it wasn’t used “just for training” in any other sense than the lack of war in that period. It did see service in WW2, albeit mostly only in Italy and there does not seem to be no surviving official records of its use in WW2. Moreover, for what I know, the S.I.A 1918 had a comfortable ROF of 600 rpm. About the S.I.A., and the Villar Perosa action, something more has to be said. The S.I.A 1918 action was, by all means a scaled-up Villar Perosa single barrel action, designed to shoot the 6.5 Carcano round. However, as the video above clearly shows, IT’S NOT COMPLETELY A SIMPLE BLOWBACK ACTION. For the action of the Villar Perosa to function infact, when the bolt accelerates in it’s backward movement, via the inclined surface, the bolt carrier-firing pin, had to accelerate at double the speed in the same time. For the kinetic energy formula, that means that, to delay the initial recoil of the case, the bolt carrier accounts for 4 times it’s weight in respect to the bolt. That’s the principle of lever delayed blowbacks. Since, in the Villar Perosa and the S.I.A 1918, the bolt is much heavier than the bolt carrier, they are mainly simple blowback actions, but they are also, at least partially, lever delayed blowback actions. The S.I.A 1918 was probably a great idea. However, due to the war needs, it was adopted first than its problems had been completely ironed out. It had three main problems. 1) The magazines. A top mounted, 50 rounds magazine, even not windowed, would be a problem waiting to happen even with today manufacturing. Go figures a windowed one in WWI, mounted on a weapopn that, due to the heavy reciprocating bolt in it, even had substantial vibrations. Using a simple not-windowed 25 rounds magazine, the weapon would have been much more reliable. 2) The bolt / receiver interaction. Many cases of out of battery discharges had been reported. It’s evident from the description of the action above (the S.I.A. 1918 bolt worked the same way), that a real out of battery discharge was not possible with that design. 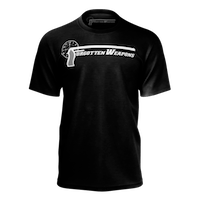 What happened was that, after having seated the round and hit the primer, the bolt rebounded against the receceiver for purley mechanical reasons, and so started the rearward movement TOO EARLY. First than the recoil impulse forced it to do that. That could lead to what was perceived as an out of battery discharge, with case rupture and sometmes the bullet stuck into the barrel. 3) Friction. Other than the weight of the bolt and the acceleration of the bolt carrier, the S.I.A. 1918 relied on the friction between the bolt lug and the 45° inclined surface on the receiver to slow down the fire rate, but friction is not constant in battlefield, it depends on how well the weapon is cleaned and how much is oiled. Moreover, the friction didn’t caused problems with the low recoil of the Villar Perosa, but, in the S.I.A., it led o rapid wear of the inclined surface on the receiver. It really needed little to turn the S.I.A. in a viable light MG. It would have been enough to replace the magazines, duplicate the lug (adding a symmetrical one), and lighten the bolt / weight down the bolt carrier, turning the action in a real lever delayed one (that’s much less likely to rebound and causes less vibrations), but, as said, they were too much in a hurry to adopt it. But the story doesn’t ends here. In the late 20’s Alfredo Scotti came out with it’s action, with a light bolt with with symmetrical locking lugs engaged in 45° helicoidal slots. and an heavy bolt carrier that locks the bolt until it’s disengaged by the action of a gas piston. From where could he have taken the idea of those 45° locking lugs? Just for a clarification, the Villar Perosa had never been designed to be exclusively, or even mainly an aerial weapon. Maybe it’s designers could have tought to a double purpose, but the Villar Perosa had always be intended to be primarily an infantry weapon. Only the first 350 produced of more than 14.000 had been given to the aviation (a small branch of the Army at that time) cause the Army wanted the manufacturer to be ready to mass-produce the weapon first to field it. There have never been a huge number of Villar Perosa MGs dismounted from the aircrafts to find a use for. The box we see in the video is the number 4216. In WWI Italy surely didn’t had 4216 aircrafts. The huge majority of the Villar Perosa had been made expressely for infantry use. And had been pretty succesful in that. The “hole” sight makes sense if you think that the weapon was originally intended to be used with this shield, and the round plate was integral part of the protection. As for the charateristics that seems to be “goofy and stupid” for this role, well, they were not. In defense, what was the job of a MG in WWI? When the artillery barrage begins, to rapidly dismount the gun and take cover. The Villar Perosa was light, and good for this. When the artillery barrage ends, to rapidly redeploy the MG, CAUSE THE ENEMIY SOLDIERS ARE ALREADY RUNNING TO YOUR TRENCH (they were running under the trajctory of the artillery shells). The Villar Perosa was light, and good for this. 1) Use an heavy MG for slow suppression fire, to force the enemies to take cover, and finish them with a barrage of rifle grenades. The Villar Prosa was not good for this. 2) Use a light MG to cover the obligatory passages (holes into the barbed wires, or the mountain trails) and fire when you actually see the enemy. This requires an MG capable to fill the air with a huge numbers of bullets in a very short time, and the Villar Perosa was GREAT for this. The MG-42 for example, with its 1200rpm ROF was designed with this job in mind. Not fire continuosly, but fire when you actually see the enemy. Given the charateristics of the two warfares, it was more suited the Villar Perosa to WWI (when you almost always had some obligatory passage to surveil) than the MG-42 to WWII. Add to this that the fact that the Villar perosa was very light was an especially good thing in mountain warfare. But mind this. THERE WAS NOTHING BETTER AROUND. When the guy with the Villar Perosa, after throwing a couple of offensive grenades into the enemy trench to stun the enemies, came over the edge with the machine gun in his hands to clean it, he didn’t find the guy with the MP18 waiting for him. Cause there was not any MP18, or anything similar. 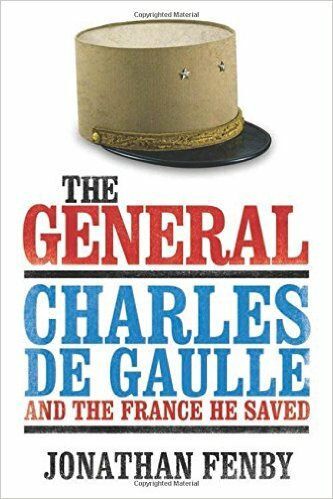 What he had in his hands was incredibly better for that role than anything the enemy had (and infact the Austrians copied it). After having adopted the Villar Perosa, the Italians took almos three years to develop the OVP18 and the MAB18 (that were nothing more than a single Villar Perosa barrel mounted on a Moschetto TS stock) not cause the Villar Perosa was unsatisfactory, but cause it was so satisfactory that they produced more than 14.000 complete MGs, so almost 30.000 single barrels, without feeling the urge to modify it. The ground use of VP you are describing makes lots of sense; it would be formidable means how to stop enemy (in this case AH infantry) in its advance, especially in mountainous terrain. I wish to be able to speak again to my grandfather… he would have known about it. I’d think another excellent defensive role for the M1915 Villar Perosa would be for positioning in a caponiere internal to a trench system. The attackers would be under fire from heavy machine guns, rifles, grenades, small arms, mortars and artillery, and in the midst of barbed wire entanglements. Coming down a gallery or communications trench, one of these little burp guns would be utterly devastating, relatively man-portable inside the stony interior of a mountainous defensive position, etc. This is first time I see VP from up close – very common sense design ahead of time. Since there was mention of synchronised MGs which came later, I had that unique opportunity to speak with an elderly gentleman whose father was Imperial Germany’s combat pilot. He told me how they struggled to develop first synchronised fire weapon on airplane. It was fight against time as we already know; once first side had it the other copied and improved upon it. According to Péter Soós, the historian of the Institute and Museum of Military History in Budapest, when the Villar Perosa was designed, aerial machine guns, which were enough light for the contemporary wood and fabric aircrafts, simply did not exist. For example, in 1915 the Austrian-Hungarian Imperial and Royal Aviation Troops used twin-mounted Steyr M1912 semi(! )-automatic pistols with extended 16-round magazines. He also stated that, the Villar-Perosa was used as some kind of light machine gun by the Italian mountain troops as early as March 1915. It proved to be quite useful and effective on hard terrain as South Tyrol, where light portable firepower was needed at close range. I think, it was a good idea then and there, and the Austrian-Hungarian engineers came up with similar “light machine guns”, like the officially never adopted Frommer Stop M.17 (http://i2.guns.ru/forums/icons/forum_pictures/0/000816/816125.jpg) and the copy of the Villar-Perosa chambered in 9×23mm Steyr, called Sturmpistole M.18. The video you posted earlier tells the story; I have already bookmarked it. Yes, it looks efforts were on both and all sides almost at the same time. I believe you are the same person showcasing some videos on TBF earlier; they were of excellent quality with impeccable language skills. Do you mean Balázs Németh, who runs the Cap And Ball Youtube channel (https://www.youtube.com/channel/UCefQw7bLRPKSG-qx9dJroew)? Listen to its rate of fire on this video of one shooting. Amazingly fast. Well, without knowing, the woman probably used it the way it was intended for. See the enemy, press the trigger for a moment, an fill that area with a dozen of bullets. I’d agree!! This was the most informative piece I’ve seen anywhere on the VP. It really goes to show how a lot of what we read in books is repetitive, and fairly superficial, but that Ian and a few other “online” whizz-kids are actually going to the weapons themselves and doing primary, hands-on research. Ian has discovered the “true caliber” of the Cei-Rigotti rifle, and now this piece on the Italian VP. Bavo! If the Villar-Perosa had been strengthened to chamber 9×19 Parabellum, I suppose it might make for a good “pillbox gun” for spawn-camping the other team. First, knock the sentry silly (or strangle him if you prefer). Toss a few nasty grenades into the enemy camp and wait for the guys to come charging out into the area where you may have laid a bunch of improvised wire snares and land mines. When the enemies are stuck in the wires, let them have both barrels. The 9mm Glisenti is not a 9mm Para, but it kills pretty well. If we consider it like a grapeshot dispenser, that is not bad ! Maybe even lighter than a small cannon ! I believe Poresz is quite right about the Villar-Perosa’s success in the hands of the Italian Alpini troops. They reportedly liked it a lot in its original twin-barreled version as it suited their doctrine and area of operations in mountain warfare almost perfectly. I seem to recall that we had a similar in-depth discussion about this subject with regard to the Villar-Perosa here on FW a few years ago where some of us had brought up the same basic topic, including the use of the weapon when it was separated into two perfectly functional and quite useful single-barreled sub-machineguns. It is still very good to read about new perspectives on the same basic weapon and its employment as these can only help to broaden our collective outlook. Haven’t I seen photos of captured VPs mounted on LRDG jeeps? Also note the 0.5in Browning MG on the jeep in the background. The SAS didn’t fool around when they pulled a “jeep raid”. Of course they wouldn’t fool around. Get in fast, spray the area, then get out before anyone can call for help. Unless you would rather win by extermination, a speedy exit would be the only defense against enemy tanks if any show up. Did I mess up? At the bottom of the page is a link that will take you to the Table Of Contents where you can pull up other equally fascinating articles on aircraft and equipment long since forgotten by history. I also found a good photo of the Villar-Perosa in its mobile Alpini application on Max Popenker’s worldguns.ru website which clearly shows the original wooden tray mount. The caption under the photo states that the example shown is from the Austrian Army Museum in Vienna. The webpage is world.guns.ru/smg/it/villar-perosa-e.html. Another thing that has to be noted, is that the awkward mag retainer of the early samples was not mantained for the entire production of the weapon. Later it was replaced with a conventional spring retainer, with a lever release placed in front of the mag.